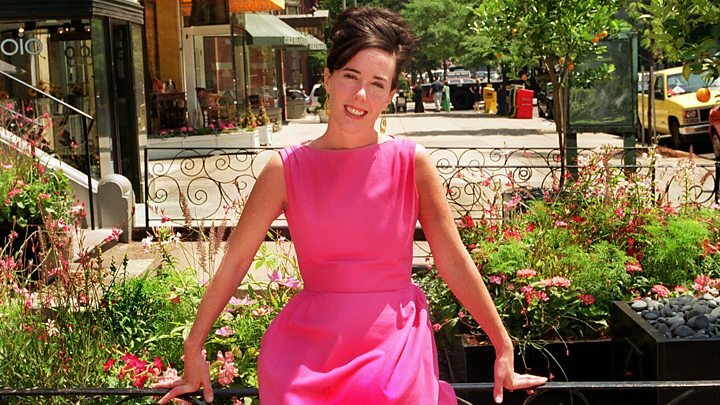 The Council of Fashion Designers of America has paid tribute to Kate Spade, who died on Tuesday, calling her "a great talent who had an immeasurable impact on American fashion". Spade, a handbag and fashion designer, was found dead in her New York home. Police said they were investigating her death, at 55, as an apparent suicide. Spade's family said in a statement that they were "devastated by today's tragedy" and would "miss her terribly". They asked for privacy. Spade, a former editor of fashion magazine Mademoiselle, created a fashion sensation in the 1990s with her line of handbags, and built an accessories empire that grew to hundreds of shops internationally. "Kate Spade had an enviable gift for understanding exactly what women the world over wanted to carry," Anna Wintour, the editor-in-chief of Vogue, said in a statement. Police said the designer's housekeeper found her unresponsive on Tuesday at her Park Avenue apartment in Manhattan. The New York police department chief of detectives, Dermot Shea, said a note had been found at the scene but he declined to reveal its contents. He said the evidence at her home pointed to "a tragic suicide". The New York Police Department confirmed Spade's death under her birth name, Katherine Noel Brosnahan. Media captionWhat is Kate Spade's legacy? How did Spade become a household name? 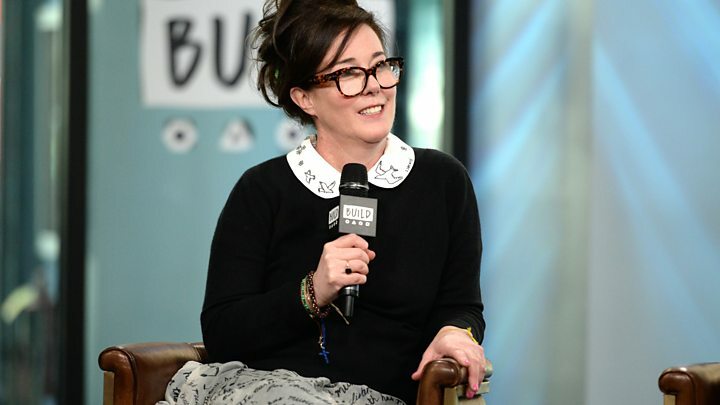 Spade founded the Kate Spade Handbags brand in 1993 with her partner Andy, whom she had met while studying journalism at Arizona State University, and another friend, Elyce Arons. The brand opened its first store in New York in 1996, with a stated aim of designing the perfect handbag. Its logo was the spades playing card symbol, and its bright and colourful patterned designs became a hallmark of its products. She married Andy Spade in 1994 and they had one daughter. Spade sold her namesake brand in 2007 and it was bought last year by New York rival designer Coach in a deal worth $2.4bn (£1.8bn). She and her husband then set up another design venture, Frances Valentine, named after their daughter. Spade legally changed her name to Kate Valentine (Valentine was her grandfather's middle name) in 2016 to "separate the two worlds", she said. In the 25 years since Kate Spade's founding, the name has become a byword for a certain preppy style. The former fashion editor told the New York Times she was looking for function, sophistication and "some style" when she launched her line of handbags in 1993, uninspired by other purses of the era. Her look - bright colours and clear lines - quickly gained traction, appearing on the shelves of upmarket New York department stores like Barney's. In 1999, Neiman Marcus took a majority stake, sealing the firm's ascendance in the fashion world and as a brand that embodied quirky fun, without straying too far from the country club. Celebrities and public figures from the world of fashion and beyond paid tribute to Spade and her work. Actor David Spade posted a tribute to his sister-in-law, saying she "could make me laugh so hard". Actress Reese Witherspoon said the designer was a "wonderful, talented woman who will be dearly missed".